A great opportunity for young people and their parents to look at what may be available when it is time to leave school or college. 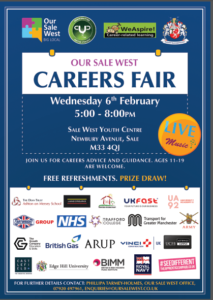 A wide variety of potential employers will be there to answer any questions you may have. Refreshments will be available and a free prize draw will take place on the evening.